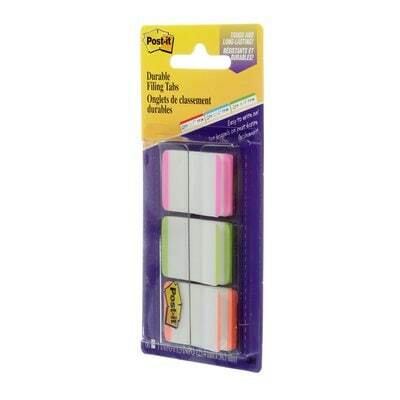 Post-it® Tabs help to organize your life by easily sorting your calendars, notebooks, binders, and projects into sections. 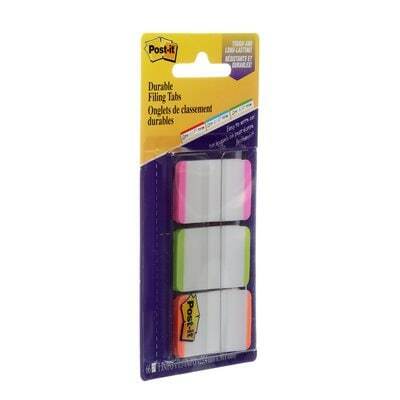 The colours give you flexibility to organize and colour-code. 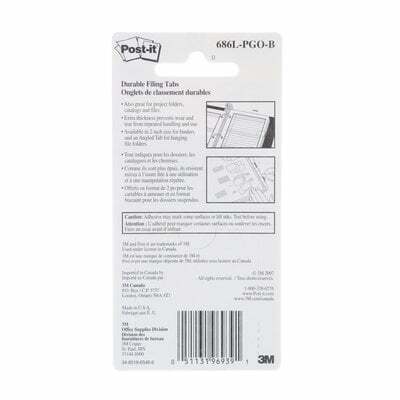 The tabs are durable, allowing you to write on them and reposition as needed. 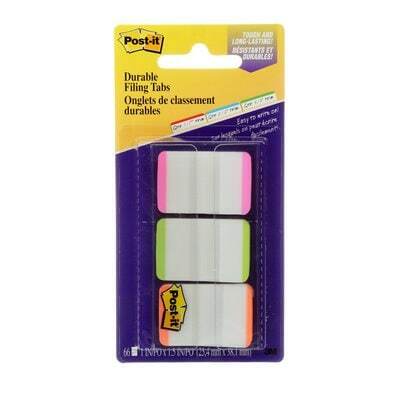 They are also great for tabbing file folders. They stick securely and remove cleanly.